Two hours’ drive west of Dili, in a village called Beacou, a group of women buy sardines from the fishers immediately as they land their catches. The women bring the sardines home and get to work cleaning and scaling the fish, and finally prepare it for sale. Their recipe is relatively simple, with locally grown garlic, red onion, and peppercorns. The cooked sardines are placed in glass jars that can be stored, distributed, and sold at markets. 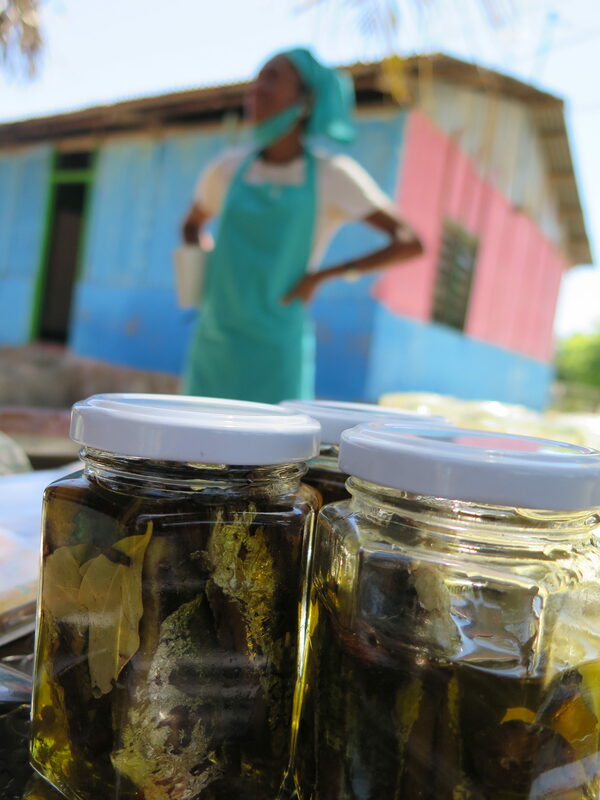 The small sardines are eaten whole with bones – a local delicacy that supports micronutrient intake, for example from minerals in the bones, in a country with some of the highest levels of child malnourishment in the world. Since 2014, WorldFish teams have worked with fishers in Beacou to support local management and make improvements to their fishing. In 2016, we started focusing on enhancing fishers’ livelihoods through participatory action research.1 1. Apgar, J. M., P. J. Cohen, B. D. Ratner, S. De Silva, M.-C. Buisson, C. Longley, R. Bastakoti, and E. Mapedza. 2017. Identifying opportunities to improve governance of aquatic agricultural systems through participatory action research. Ecology and Society 22(1):9. DOI: 10.5751/ES-08929-220109 See all references The method involves a series of discussions to identify and prioritise ideas together around how to enhance their fish-based livelihoods. Preserved sardines. Photo: Hampus Eriksson, WorldFish. The emphasis in this initiative is placed on co-identifying the opportunities that people see as immediately available, then working together to explore these opportunities in practice. This is both a different approach to the “big push” model, and a departure from the paradigm of “livelihood diversification” (read “Small fry are beautiful” in the “Small fry” series). Invariably, the opportunities will be linked to something people are already doing, rather than injecting cash and capital or introducing new and unfamiliar activities to earn an income. 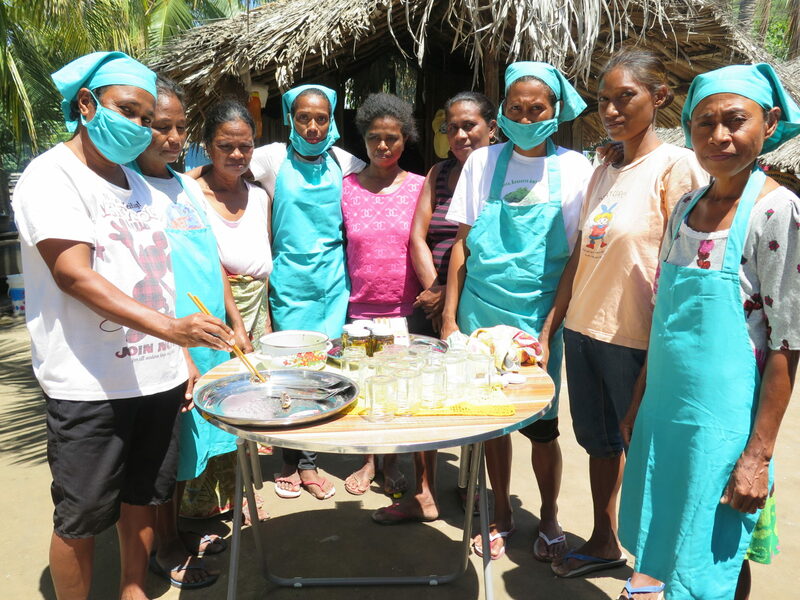 We sought to work with the women’s group in Beacou because they are well organised and have financial skills from a number of earlier initiatives by non-governmental organisations. They had the knowledge on how to cook the fish, but required assistance to catalyse their ideas into a small-business enterprise. We used a diagnostic framework for identifying opportunities and barriers ­– and how we can work together to overcome the barriers. Across our initiatives we seek to support women by building on livelihood opportunities that they prioritise, in a concerted effort to integrate gender considerations into local decisions. Women’s groups are often models for local organisations, and their energy is a beacon of hope for self-driven rural development. Read more about how women’s groups lead the way in Solomon Islands: Freezing fish in rural Solomon Islands. Opening image: The women's group in Beacou. Photo: Hampus Eriksson, WorldFish.